Lyme School band "Final Fling"
Lyme School Band "final fling" will be a marathon concert Friday afternoon from 1:30-2:30 p.m. 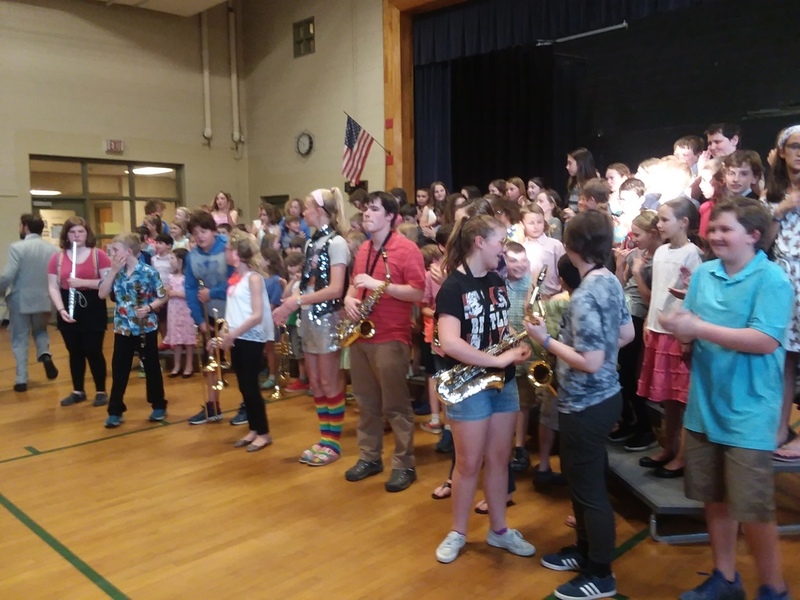 The middle school band will play almost everything we played this past year; the fifth-grade band will play "Cool It," their debut piece at last Friday's Assembly; and several solo players taking private lessons on various instruments will offer their songs as well. Classes are invited to come to the concert at any time during the hour; since rain is unlikely on Friday, sitting on the lawn should offer a great view. The recent graduates will be missed next year - Ian, Juliet, Mary, Una, and Elsa - so this will be our last event with them!